According to the Times-Herald, Moore held audiences “spellbound” as she described perhaps the most famous murder in Coweta County history. She also presented Wallace’s Bible, pocket watch, tie, and pistol. Moore told the LaGrange Daily News that Wallace had a real life Jekyll and Hyde personality: he had both a generous reputation and a demonic temper. A prominent Meriwether County farmer and landowner, he killed one of his farmhands William Turner in 1948. Wallace was sentenced to death, and he is one of the richest men to have ever been executed. Another unusual aspect in the case is that he, a powerful white man, was put away by the testimony of two black men. Dot Moore launched her new book with a big signing at Scott’s Bookstore in Newnan. 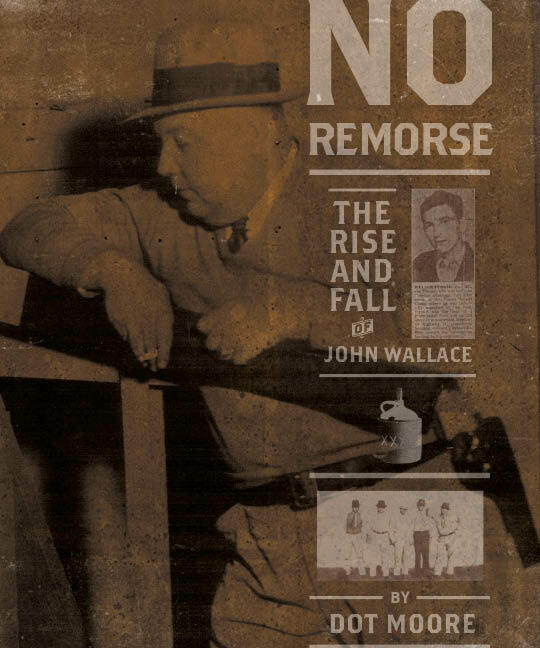 On Monday, Moore autographed copies of No Remorse at the Chipley Historical Society in Pine Mountain. She will be signing books in Montgomery’s NewSouth Bookstore on Thursday, September 15 at 4 p.m. and at Horton’s Books & Gifts in Carrollton on Saturday, September 24 at 11 a.m. She will talk at the Powell Expo Center on Temple Avenue in Newnan on Oct. 29. Moore grew up in Heard County, Georgia. She is a retired educator and political activist, and lives in Montgomery, Alabama. She is the author of Oracle of the Ages, the story of Mayhayley Lancaster, also published by NewSouth Books. Oracle of the Ages told about fortune teller Mayhayley Jackson, who testified at Wallace’s trial. It won the Georgia Historical Society’s Lilla Hawes Award. Dot Moore’s No Remorse is available from NewSouth Books, Amazon.com, or your favorite retail or online bookseller. You are currently browsing the archives for the No Remorse category.